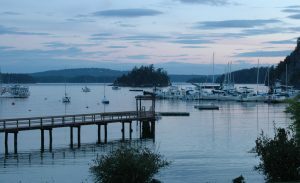 Orcas Island has a diverse set of options for visitors and locals looking to enjoy themselves. In addition to charter boats and whale watching, tourists can enjoy trail rides, hiking, and local markets in season. Taxi and shuttle services are available on call for trips into Eastsound to peruse the stores and markets for locally grown foods and homemade goods. Parks, theaters, and museums are also readily accessible in and just outside town. Outdoor enthusiasts can also acquire transportation to and from the trails and lakes of Moran State Park, some of the most picturesque terrain in the San Juan Islands, where they can choose from casual walking trails or long distance hiking. 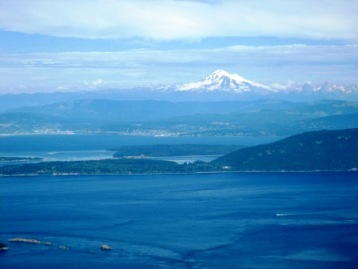 Mount Constitution is a must see with views of most of the San Juan Archipelago as well as Puget Sound and the Canadian Rockies. Mountain biking and horseback riding are permitted on some trails in season. Make sure not to miss seasonal events like the Doe Bay Music Fest, the annual summer Farmer’s Market, and Martin Lund’s One World Concert. Nearby farms and orchards offer their produce on site while in season, and don’t forget Turtleback Mountain’s north and south trails that provide the only prominent views of southern and eastern Orcas Island. On July 3rd the Deer Harbor community puts on a small fireworks display down by the Marina. Come by boat for the best viewing locations. 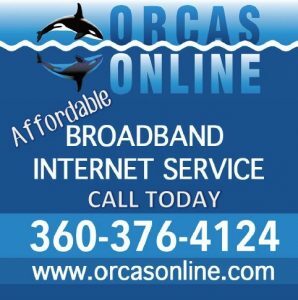 Click Here for more things to do on Orcas Island. 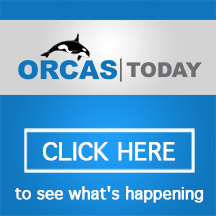 Click Here for more whale watch operators. Click here for more kayak tour operators. 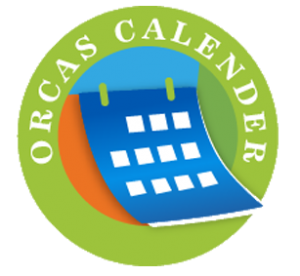 Click here for daily event calendar. Explore the wonder of Deer Harbor, Moran State Park and other trails around Orcas Island in the San Juan Islands. Since 1982 we have introduced thousands of people to the joys of sea kayaking on Orcas Island with our sea kayak tours, and kayak & gear sales. We use the best kayaks and equipment available, have a dedicated staff of qualified guides, and know the islands better than anyone. Orcas Island kayaking is a great activity during your visit to the islands. Join one of our 3-hour, outer island, sunset or moonlight tours for a fantastic time on the water! Enjoy the San Juan Islands. on two wheels! Rent a bicycle at Deer Harbor Marina on Orcas Island and let the fun begin. Four Winds Westward Ho is a private, non-profit summer camp founded in 1927. We offer an incredible camp experience for boys and girls ages 8-16 during three sessions each summer. Activities include: sailing, horseback riding, tennis, archery, arts & crafts, gardening, sports, photography and music. Our trips program takes campers overnight to nearby islands.